Staying married as Hollywood celebrities has been one of the rarest things. But there is a Hollywood couple whose story is altogether different. It’s been an over three-decade marriage, and they are still happily counting! 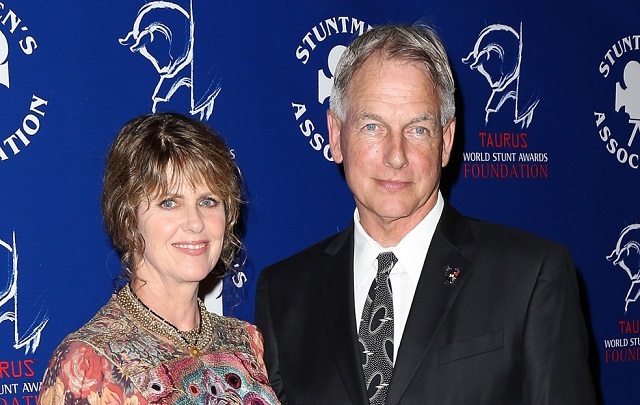 Pam Dawber and Mark Harmon started off their love journey more than 3 decades ago from the time of writing this article. March 21, 2019, marked their 32 years Wedding Anniversary! Pam Dawber is a retired American actress. She is most popular for starring as Mindy McConnell in Mork & Mindy (1978–1982) and as Samantha Russell in My Sister Sam (1986–1988). Her husband, Mark Harmon is a legendary American actor who has been on the acting scene for almost 50 years now (1970-present). Harmon has made numerous screen appearances in his five-decade career. He is, however, most popular for playing Dr. Robert Caldwell in NBC series, St Elsewhere (1983), and undercover special agent Simon Donovan in NBC political drama series, The West Wing (1999-2006). Didn’t they say that behind every successful man is a good woman? Let’s now take a more detailed look at Pam Dawber, the woman Mark Hammond is married to. Pamela Dawber was born on October 18, 1951, in a suburb of Detroit, Michigan, United States. She is less than a month younger than her husband who was born on September 2, 1951. Pamela’s parents were Thelma and Eugene Dawber. She had a younger and only sister, Leslie Dawber who later died of heart disease at the age of 22. Pam attended the Reid Elementary School in Goodrich before proceeding to North Farmington High School in Farmington Hills. On finishing high school, Pam enrolled at Oakland Community College in Oakland County, all in Michigan. As a beautiful college student, Pam started amateur singing and modeling. She, however, did not complete her college studies as she left for New York City to pursue a full-time modeling career. A friend had earlier suggested that she come along with her to New York to showcase her modeling talents to fashion companies there. In New York, Dawber started working for top modeling agency Wilhelmina Models, now Wilhelmina International Inc. She modeled for a number of brands including Nair, Underalls, among others before eventually switching to acting. Dawber’s first acting opportunity came when she got a lead role in a stock production of Broadway musical comedy, Sweet Adeline. This exposure led her to audition for the title role in ABC TV 1977-1978 sitcom, Tabitha. Although she did not get the role, her impressive performance earned her a spot in ABC’s Talent Development program from where she later landed her first television role. She was cast as Mindy McConnell alongside comedic actor Robin Williams (Mork) in another ABC sitcom, Mork & Mindy. Dawber starred in all 94 episodes of the four-season series, spanning from 1978 to 1982. It became her breakthrough role as the series turned out a hit, opening up bigger opportunities for Pam. It also earned her the People’s Choice Award for Favorite Female Performer in a New TV Program in 1979. In 1986, Pam Dawber landed another titular role as Samantha Russell in CBS situation comedy, My Sister Sam. She played the role alongside Rebecca Schaeffer who starred as her sister, Patricia Russell until April 1988 when it was canceled from the CBS network over dwindling patronage. Consequent to the show’s cancellation, a fanatic fan shot Schaeffer dead in front of her home in July 1989. The tragic incident caused Pam to become a gun control activist. For almost ten years after My Sister Sam, Pam Dawber did not play any major or popular acting role. This was because she ceased from full-time acting after the birth of her second child. This move is one of the major secrets of the longevity of her union with Harmon. She once made it clear in an interview that two people cannot be working full-time in the entertainment industry and stay married. And so Pam ditched fame to devote more time to her family. Pamela did not stop there, she took up a part-time job as an art teacher at her children’s school. This gave her the opportunity to be closer as well as have more time with her kids; driving them to and fro school, celebrating their birthdays and things like that. She also shielded herself and her children from the limelight as much as possible. She, however, acted occasionally, with most of her roles being minor/guest characters or major ones in small films. In 1997, Pam starred as recurring character Ronnie Boswell in CBS sitcom, Life… and Stuff. Between 1997 and 1998, she also played the recurring voice role of Perdy in Disney TV’s animated comedy series, 101 Dalmatians: The Series. In addition to these major roles, Pam Dawber made guest appearances in some other television series including: The Twilight Zone (1985), Faerie Tale Theatre (1987), Dream On (1994), Adventures from the Book of Virtues (1996), The Crazy Ones (a reunion with Robin Williams -2014), and The Odd Couple (2016). Pam Dawber has also starred in numerous feature and television films making her movie debut in Robert Altman’s comedy film, A Wedding (1978). Others followed including Remembrance of Love (1982), Wild Horses (1985), Stay Tuned (1992), Web of Deception (1992), A Stranger to Love (1996), and I’ll Remember April (1999) in which she starred alongside her husband, Mark Harmon. Aside from acting, Pam Dawber has tried her hands on other roles in society. She is currently a national advocate for Big Brothers and Big Sisters of America. She also co-founded “Pony Productions” with her ex-manager, Mimi Weber. Pam Dawber was introduced to Mark Harmon by Gina Hecht around 1986, soon after Mark emerged People Magazine’s “Sexiest Man Alive” for his role in St. Elsewhere. Their wedding which came on the next year was a low key ceremony with only few friends and close relatives in attendance. Since after that, they have maintained the “low key tradition” as far as their relationship and family life is concerned, with no history of conflict, infidelity, divorce rumors or other marital issues. Pam and Mark have two children together – Sean Thomas Harmon and Ty Christian Harmon. Sean who is now an actor was born on 25th April 1988 while Ty was born on 25th June 1992. Did you notice the 25th coincidence? 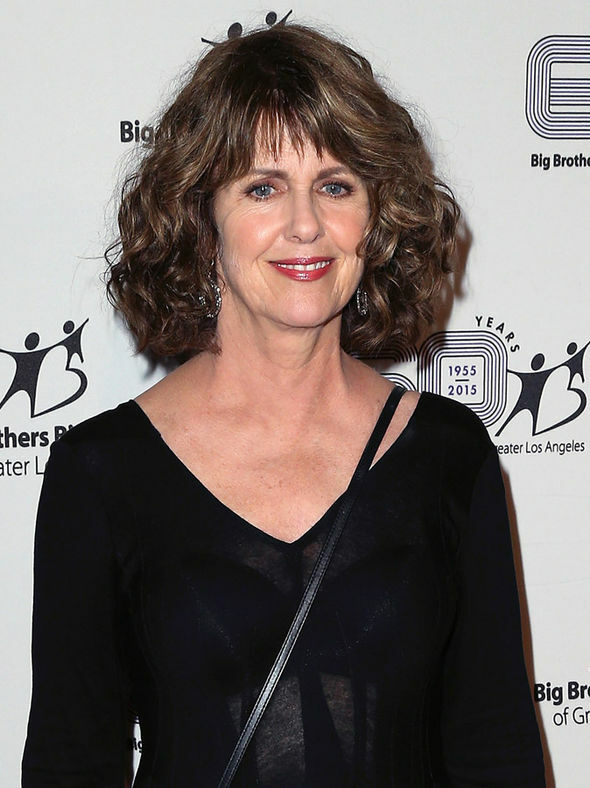 Pam Dawber currently lives with her family in their deluxe home in Los Angeles, California. This woman Mark Harmon is marrying really makes him proud; Mark said so himself!